Welcome to Barn Door Screen Printers in Conway, NH. 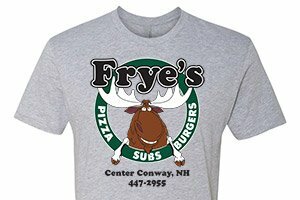 We offer custom screen printed designs for all your apparel and promotional items. Whether you are looking for quality pre-shrunken T-shirts, Ringspun Cotton Long Sleeve Tees or Full Zip and pullover Hoodies we have what you are looking for.